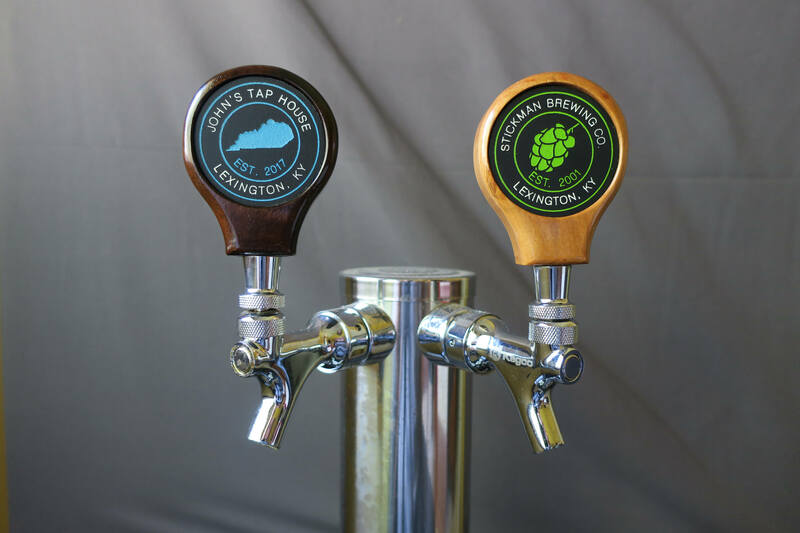 A custom homemade tap handle made from the hardwood of your choice with an inset wooden board onto which your custom graphic is engraved and painted. 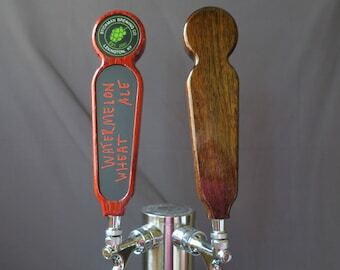 This tap handle is 3.25 inches tall and 2.6 inches wide and approximately .9 inches thick. There are several possible graphic designs to choose from (see 4th picture). Please contact me through Etsy Conversations if you would like to use a different graphic and I will create a custom listing. The hardwoods available are shown in the 1st 3 pictures. This handle is single-sided; the back side will look as shown in the 3rd picture. 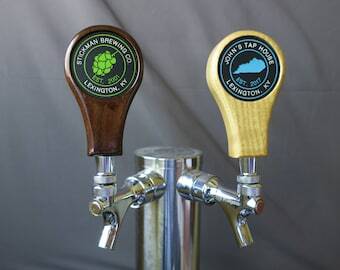 This tap handle is coated in polyurethane for long life. 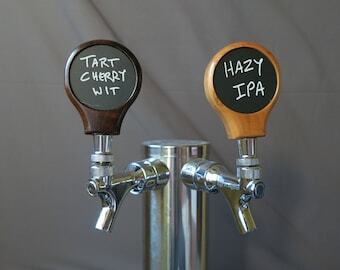 There is a threaded insert in the base to screw into a North American standard 3/8"-16UNC threaded tap. When you place the item in your cart a box for notes will allow you to specify the custom text. Please list what you would like for the UPPER TEXT on the top and the LOWER TEXT below (each up to 20 letters including spaces). Also specify which graphic you would like and any color preferences. Prior to engraving the graphic, I will send a digital mockup through Etsy Conversations to verify that the design is correct. 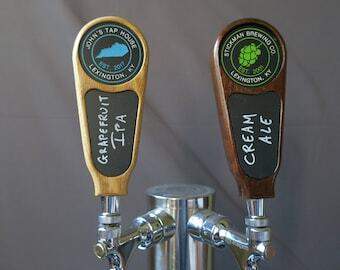 Please note: this tap handle does not have a removable graphic insert. Please contact me through Etsy Conversations if you have any questions. One of the best Esty experiences I’ve ever had. John gives you several renderings and it’s very responsive. The product turned out beautifully and really surprised my husband. Thank you! Great customer service! I ordered on a weekend, and had a confirmation and two-way conservation the same day. Order was complete that same week. Very happy with the final product. Great job, thank you so much for my Husbands gift. He loved it!